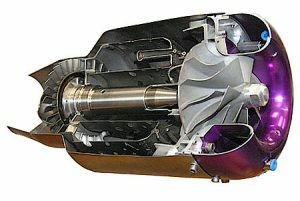 The AIAA JetCat team aims to learn more about how jet engines work, using the JetCat P-140RX as a scaled-down model. We design nozzles and bellmouths in Computer-Aided Design (CAD) software and simulate their effectiveness using Computational Fluid Dynamics (CFD) software. The next step is to then prototype them using 3D-printing and eventually machine the best designs. 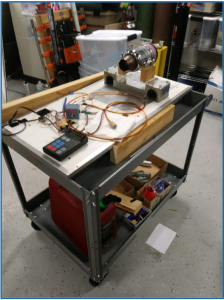 Finally, our objective is to test these designs and compare them to our CFD results to determine validity of the model and improve our designs to improve the operating efficiency of the engine as much as possible. JetCat’s New thrust stand is finally here!